If you’re adverse to wearing animal leather, yet care for the environment, you must have faced the conundrum of man-made fabrics. Although arguably less resource-intensive and polluting than their animal-derived counterparts, some petroleum-based faux leathers still pose an environmental dilemma. For the last few seasons, Pinatex has become an unexpected buzzword in the fashion industry – both sustainable and mainstream fashion publications have sung the praises of this revolutionary fibre. Hailed as the future replacement to cow leather, Pinatex was created by Dr Carmen Hijosa, founder of Ananas Anam, a former leather goods expert. During a consulting job in the Philippines in the 90s, Dr Hijosa was shocked by the environmental impact of leather production. It took seven years of thorough research to bring Pinatex to market, but the eco-friendly fibre is truly the first of its kind. Crafted from the fibres of leftover leaves from pineapple production, Pinatex is a non-woven textile representing an eco effort in more ways than one. The fibres are the by-product of the pineapple harvest, meaning that no extra land, fertilisers, water or pesticides are needed to produce them. The production also provides an additional income source for pineapple farmers. And for vegans, Pinatex provides the eco-friendly faux leather fix we’ve been waiting for. Lots of compassionate fashion brands have used this ground-breaking fabric in their cruelty-free collections – here are a few of our favourites that you can shop this season. Ankle boots are that one item in your shoe wardrobe that you can’t do without – they seamlessly blend into any outfit, offering both sleekness and edge. 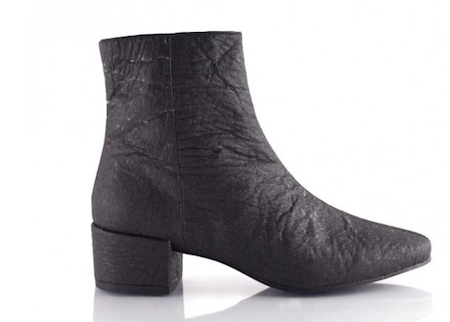 Bourgeois Boheme provides our next craving with this Pinatex ankle boot. Wear with: a biker jacket and skinnies. 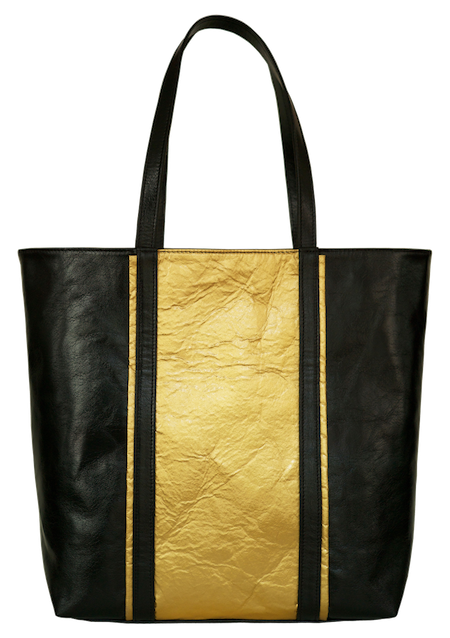 How to add glamour to a simple black tote: sprinkle liberally with gold, preferably using the hottest new eco material: yep, Pinatex, what else? 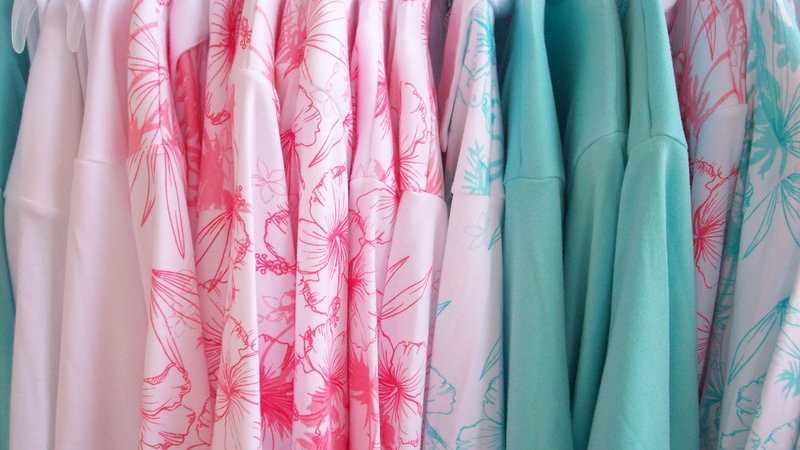 New brand on the block Camille Showroom is surprising us with instantly covetable styles. Wear with: your airport outfit, as this is the perfect carry-on. A soft pastel hue expertly matched with gold-tone metallics to give your outfit a subdued yet sophisticated edge. You will be checking the time constantly, just to admire your stunner of a watch. 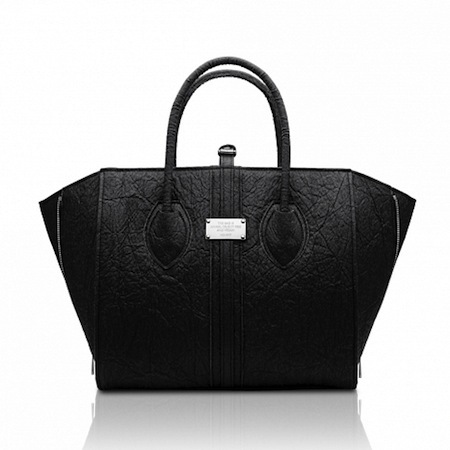 Wear with: darker colours, for a chic contrast. It may seem to early to talk summer shoe wardrobe, but time does fly, and before you know it you’ll be shedding those winter boots for something a little more carefree. These strappy sandals offer a chunky heel because nothing kills the breezy summer mood like foot pain, and they’re versatile enough to glam up anything from jeans to a sequinned jumpsuit. Wear with: your good-mood summer dress. You can have a regular, run-of-the-mill work bag – or you can have a completely handmade, unique design crafted from eco-friendly vegan materials. We know which one we’d choose. And hey, it totally looks like a Birkin. Wear with: Your finest job-interview outfit. This is a tote that screams “hired”. 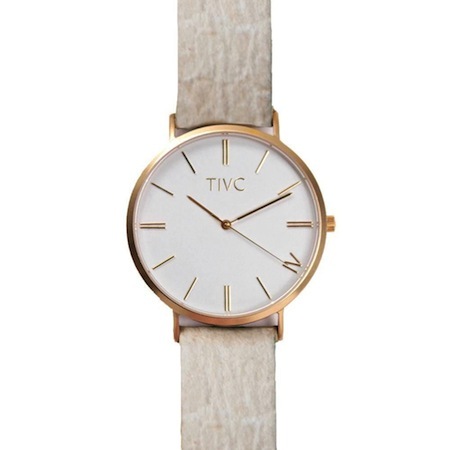 A timeless timepiece if we ever saw one. 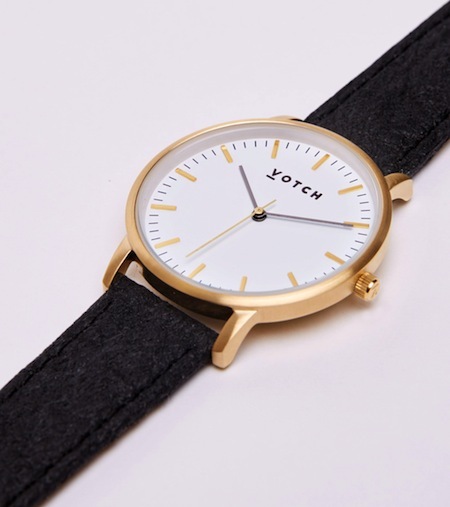 With the gold-tone brushed metal casing and black Pinatex strap, this classic and effortlessly sophisticated design from Votch is one watch you can buy now (and feel good about!) and love forever. 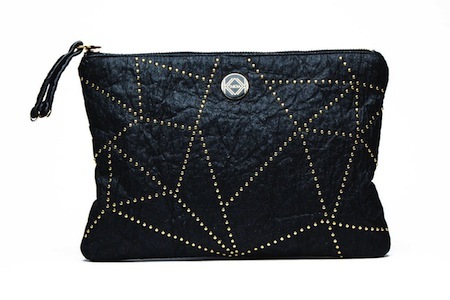 Lightweight yet resistant, this clutch is the ultimate day-to-night accessory. Tuck it under your arm with a daytime outfit, or team it with your highest heels to transition into evening-appropriate attire. Wear with: Your go-to “office to cocktails” outfit. For summer days when you need a bit of a lift – bot in terms of inches and a mood elevator. These wedge sandals are everything you would not expect a sustainable shoe to be: futuristic, statement-making and all about the style factor. Forget frumpy, eco shoes just got a new look, and it’s a pretty cool one. Wear with: a demure dress. Let these babies take centre stage – that’s where they deserve to be.